Here is your market watch for September 2018. See homes for sale, pending listings, and properties that sold in August. 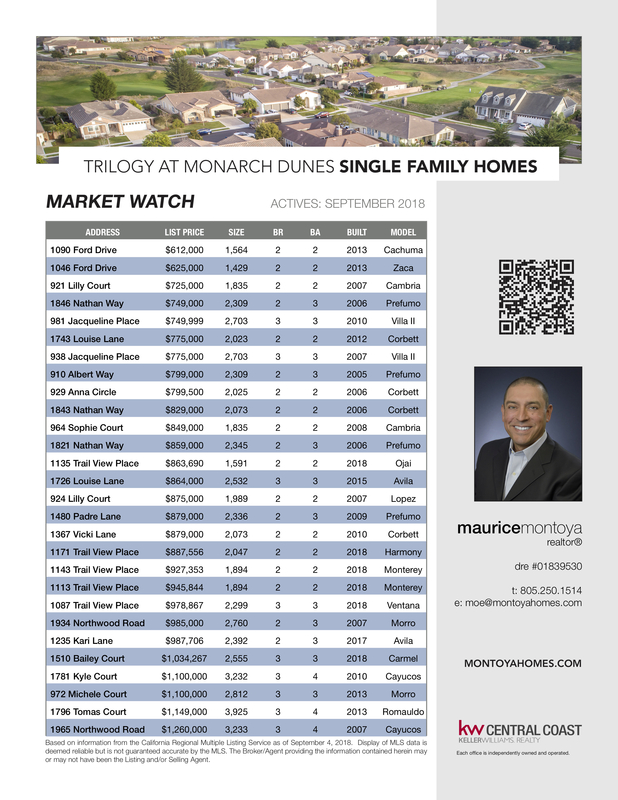 Buy or sell at Trilogy at Monarch Dunes with a Realtor® who knows the market.